Guide: bulk branded tins of sweets prices. Filled with 50 Jelly Babies. A large paint tin (90mm diameter x 99mm tall) is fully branded with a calendar wrap around the tin and dome label on the lid. 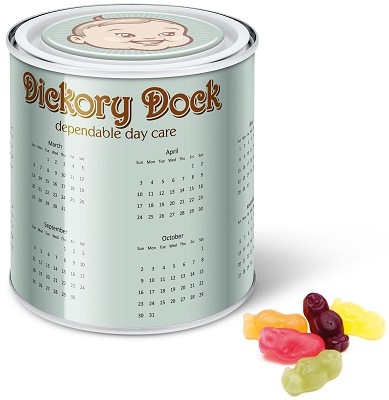 This is one of our Branded Jelly Beans selection. It's a selection that includes paper bags, sweet tins, clear plastic tubes & pots and card tubes. We have more products than shown above. 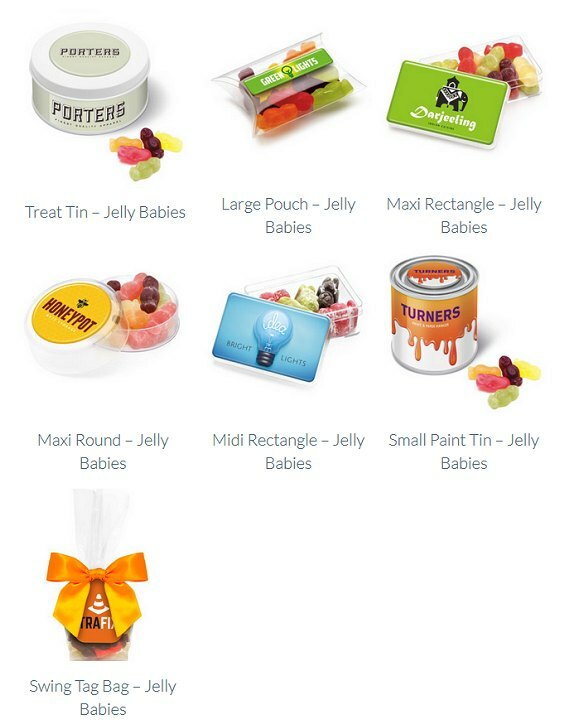 Please ask Crazy Dave about these Jelly Baby container options.